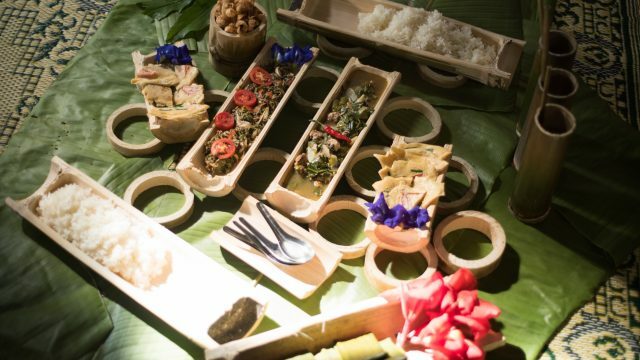 From Southern provinces that you may already be familiar with such as Phang Nga and Chumphon, to the more remote Northern provinces of Lampang, Nan and many more, 13 destinations have been carefully chosen by the Tourism Authority of Thailand as part of this newly-launched “One Night Stay with Locals” project. Not only are these villages very remote (meaning you will beat the crowds even in high season), there is also a huge variety of community-focused activities available, such as getting your hands dirty picking fruit in orchids with the locals, taking tractor rides through the jungle to waterfalls or heading out on fishermen’s boats to find the catch of the day! Spanning across four provinces (Lampang, Chiang Rai and Nan) there are four different communities to visit in the North of Thailand as part of this One Night Stay with Locals program – each one as fascinating as the next. 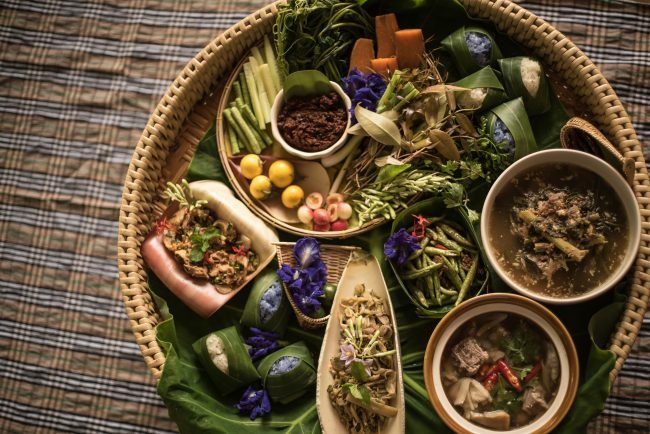 Tucked away in the mountains of Lampang, there is the chance to go miang leaf picking with the locals at Baan Pa Miang, as well as to learn how to make (and eat) the popular dish using this produce. 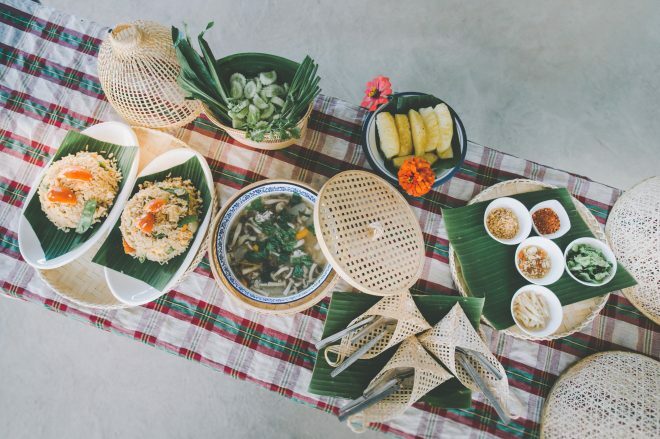 Neighboring Chiang Rai province has two destinations to choose from: the laidback Pangha Homestay near the border to Myanmar where you can learn all about the Tai Lue people and the old-age craftsmanship, or Baan Tha Khan Tong, a thriving community next to the Mae Kong River that combines elements of Isaan and Lanna culture. 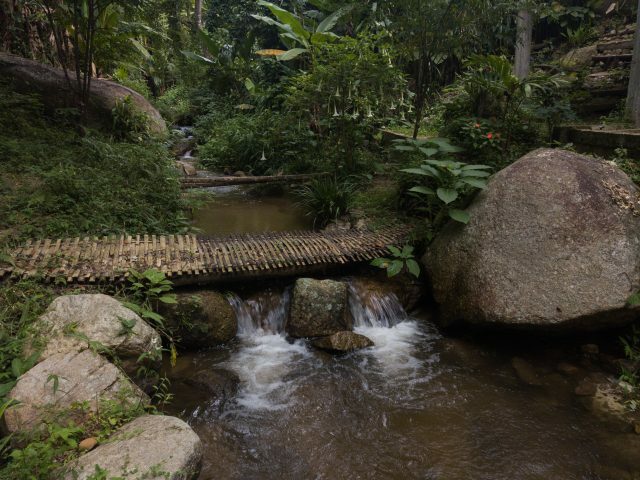 To truly get away from it all, Nan province’s Sila Petch village feels like it is in the middle of nowhere, yet there are still plenty of friendly locals to show you around the area and guide you through the forests to a waterfall. Tourists also flock to Thailand’s Southern provinces for the beaches, boat rides and adventure activities. In the southern communities, you can experience all of this and more – but still far away from the crowds. 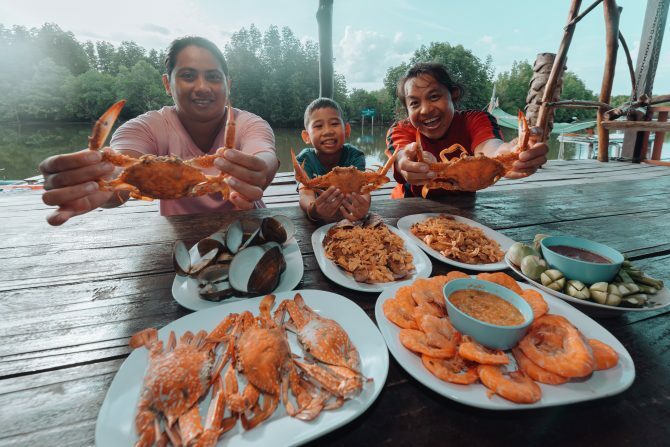 For example, at Phang Nga’s hidden Baan Sam Chong Nuea community there’s a chance to explore swamps and mangrove forests with a local fisherman while helping to afforest the area. 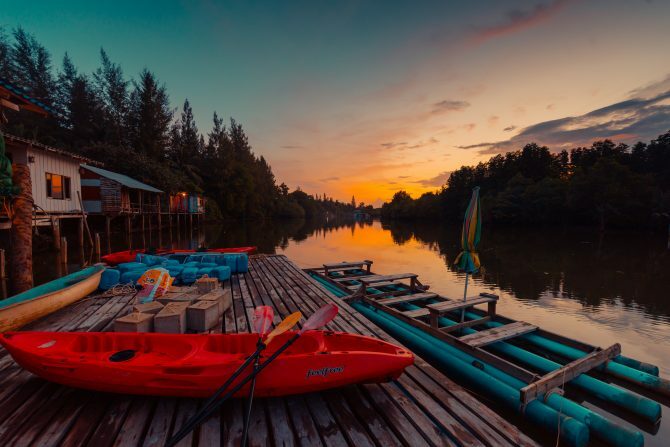 At Pa Tew (Bang Son) in Chumphon, most of your time will also be spent on the water while eating as much seafood as you can, rafting and spotting fireflies in the evening. 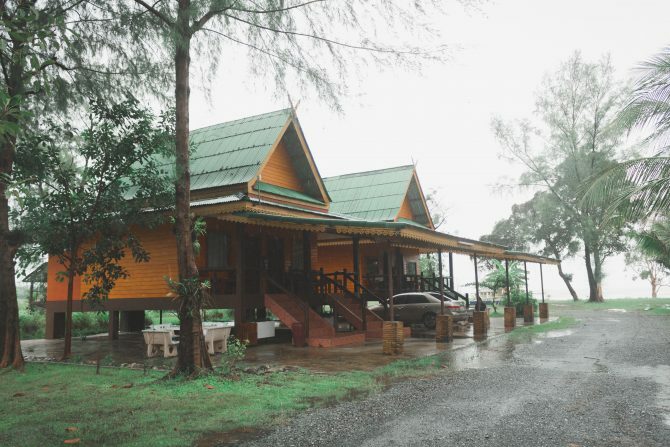 Other local communities waiting to be discovered are located in the less-frequently visited provinces of Phatthalung and Yala. These include the stunning Tamod Community where you can join in with a range of sufficiency economy educational activities, as well as kayaking and taking in the sunset over the reservoir, while Yala’s Chulaporn Pattana 9 Tourism Community is famous for its gorgeous combination of forests, mountains and rivers. 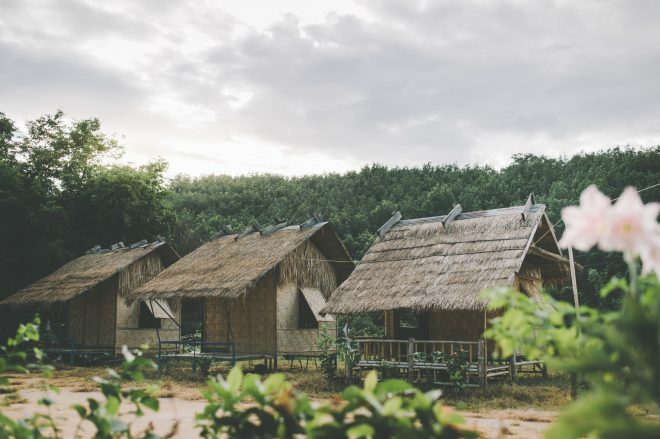 Last but not least, other choices of local communities that you can visit includes Bo Hin Farm Stay in Trang, Phrom Lok in Nakorn Si Thammarat, Laem Pak Bia in Petchaburi and Laem Klat in Trat. For more information, please visit ‘One Night Stay with Locals’ and check out Facebook and stand a chance to win free trips with locals. 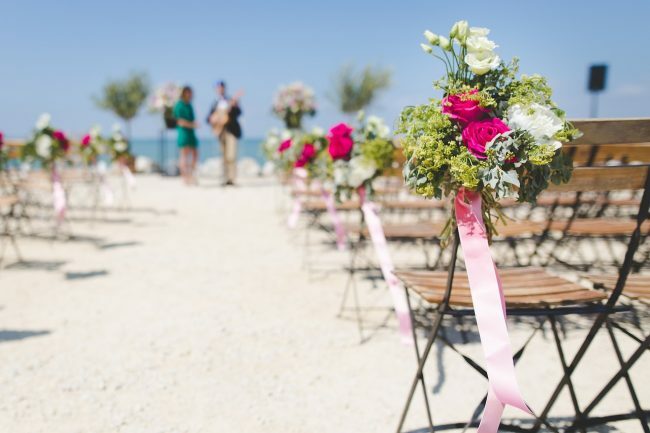 With their stunning and romantic scenery and the chance to make some long lasting memories, a beach wedding in Thailand is popular with couples who are planning to tie the knot. The large and lovely island of Koh Samui is a great place to get married as it boasts a large number of stunning sandy beaches, excellent resorts complete with luxurious spas and honeymoon suites and plenty of activities for the happy couple to enjoy while they unwind and enjoy this piece of paradise. Here are some things to take into consideration if you are thinking about getting married in Koh Samui. 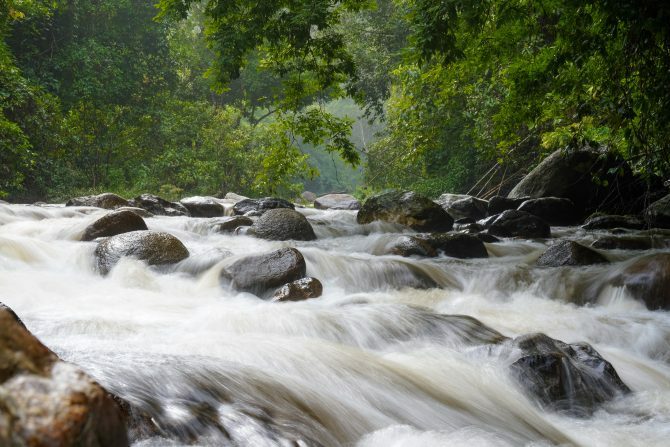 Thailand features three distinct seasons; the winter season, the summer and the monsoon season. The winter runs from November until February and this is typically the most popular time of year to arrange a beach wedding in Thailand as couples are treated to plenty of dry days and the weather is typically cooler at this time of year. 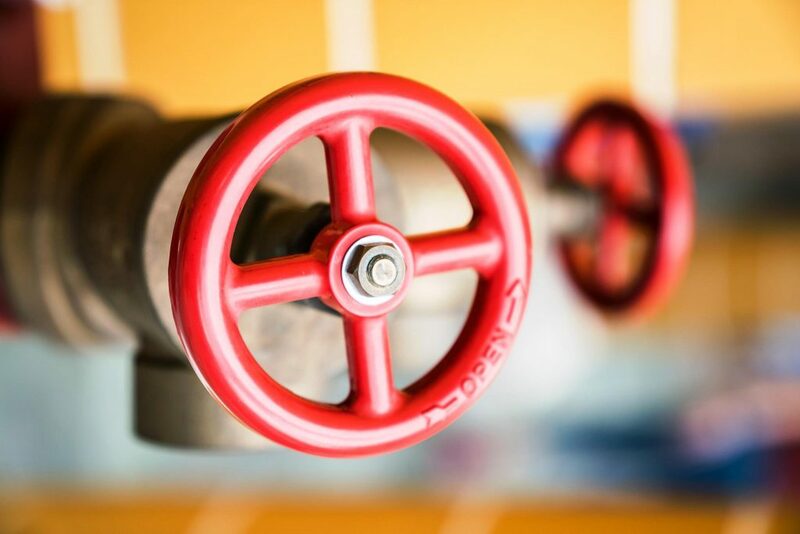 While there are plenty of dry days from the end of February until the end of June, temperatures soar at this time of year and April and May in particular tend to be very hot and humid. While temperatures fall at the end of July, rainfall is common until the middle of October. 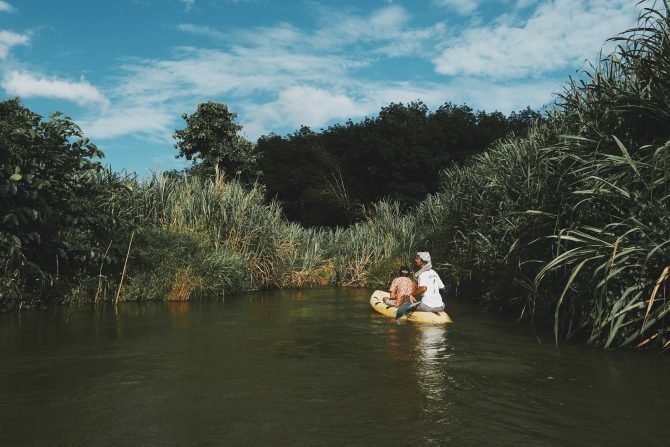 Couples who want to beat the heat without paying inflated prices during the height of the tourist season will find that there are plenty of great deals to enjoy in October and March. There are several stunning stretches of golden sand on the island that make ideal locations for Samui beach weddings. While Chaweng is the largest beach on the island, this is also the most popular area of the island among tourists and the bars that line the beach pump out loud music long into the night. Just to the south of Chaweng, Lamai features a number of upmarket beachside resorts that offer luxurious services, although the nightlife scene here aimed more at party people than those who want to unwind in style. 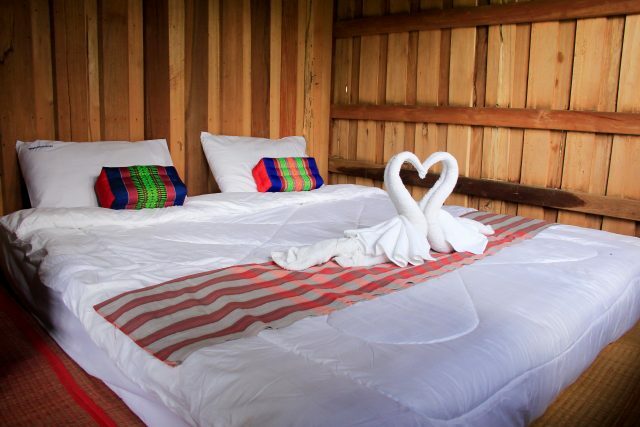 For a more romantic experience, couples are sure to love the quiet northern shore beach of Choeng Mon. Couples who choose to tie the knot here can be almost certain that the beach will be deserted, while a few luxurious hotels can be found on the cliff top overlooking the beach, providing a stunning setting for a tropical wedding. 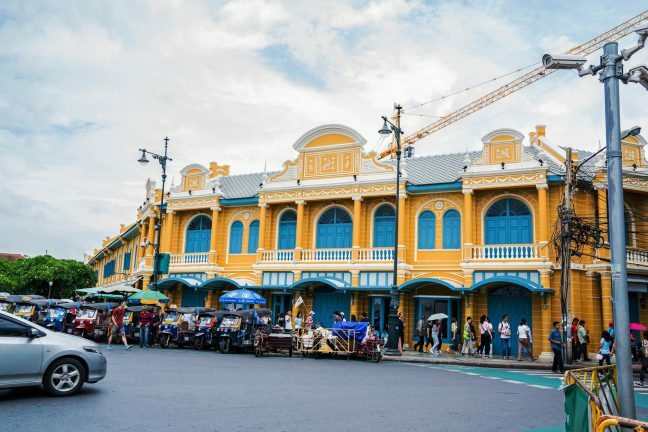 The northern coast is also home to Mae Nam, which is a narrow stretch of powdery golden sand that boasts stunning sunsets and a laid back atmosphere. Many of the leading Samui wedding planners such as resorts and hotels off all inclusive wedding packages. People who opt for one of these wedding packages will find that everything is taken care of for them, from the wedding itself to the reception, the Samui wedding photographer and accommodation for the happy couple and their guests. 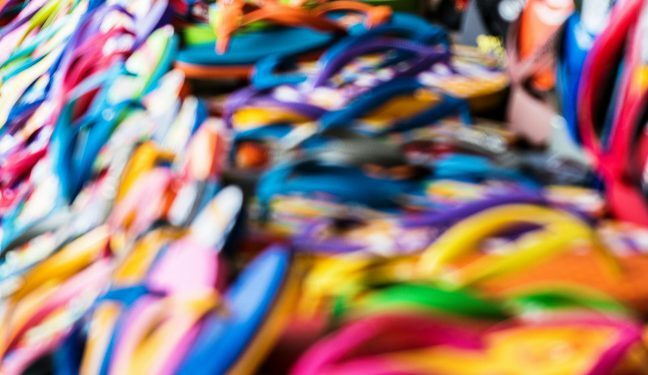 Of course, before you can select a wedding package or start planning your beach wedding in Thailand, you will need to work out how much money you are willing to spend. Important considerations include the cost of accommodation and flights, activities in Thailand and the wedding reception. It is possible to cut costs significantly by choosing to get married in the low season when there are plenty of deals and discounts to choose from and couples can also save money by shopping around and booking their beach wedding in Koh Samui far in advance. ‘Tha Maharaj’ is a community mall located on Maharaj Road in the Rattanakosin area, thus in walking distance of Thammasat University. The Rattanakosin Island was built in the early Rattanakosin period. Hence, Tha Maharaj tries to capture the charm of the old town’s architecture. 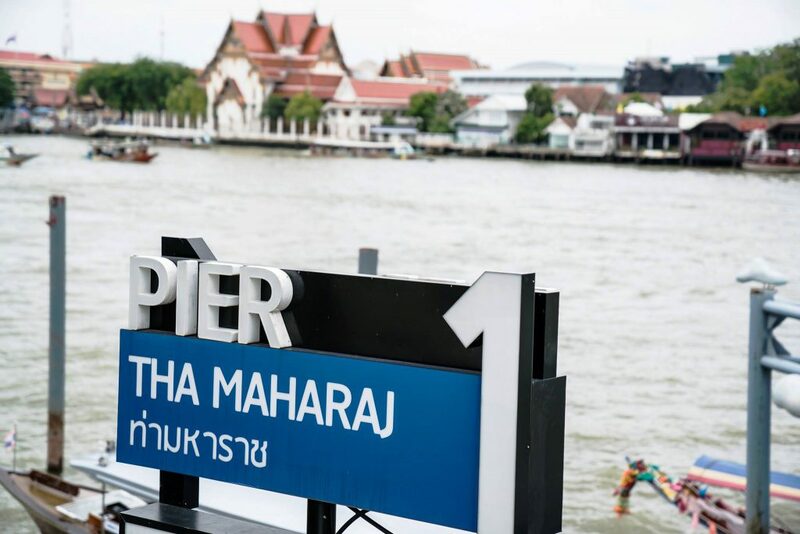 This community mall is thus in close proximity of the Chao Phraya River and there is also the Tha Maharaj Pier. What is more, it is surrounded by some important cultural attractions of Bangkok including The Grand Palace, Wat Arun and Wat Pho. 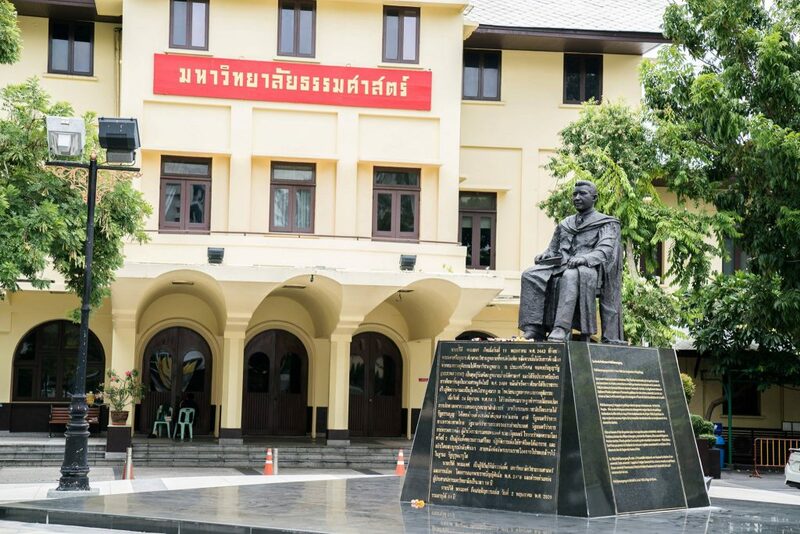 Nearby this place are also Silpakorn Fine Arts University and Siriraj Hospital. Of course, due to this location, Tha Maharaj has become a tourist attraction as well. 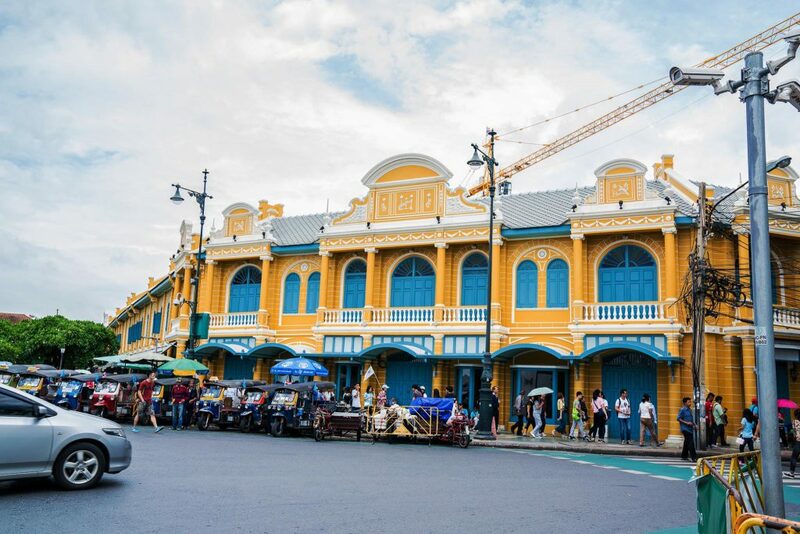 However, locals also love this place because there are specialists of antiques and one of the greatest Thai amulet markets in the country. Tha Maharaj aims at bringing the beauty of the Chao Phraya River near to the visitors. 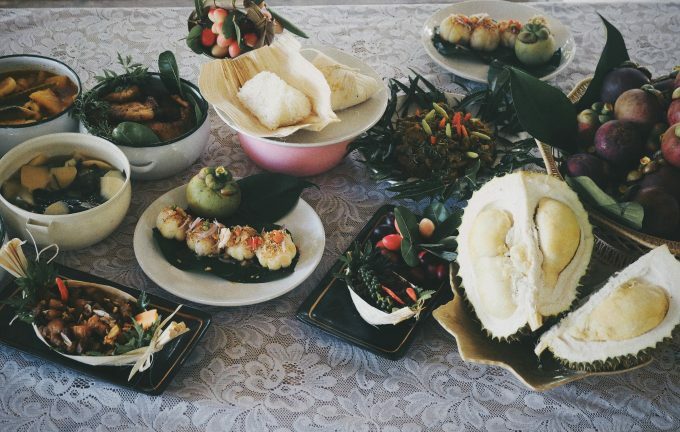 In addition, people should get to know and enjoy the local culinary specialities which can also be referred to as the Taste of the River. What is more, the place surprises the visitor with some colourful details 🙂 Thus, there is also a community garden and a riverside promenade. Tha Maharaj includes seven buildings in total and a parking building. There are more that 50 restaurants, retail shops dedicated to fashion and beauty. You can reach this place by road but also via Chao Phraya Express Boat. Other options to get there are Chao Phraya Tourist Boat, Long-Tail Boats and Private Boats. Summing up, Tha Maharaj is certainly worth a visit since there are not only numerous interesting shops, facilities and restaurants but also special events and activities like weekend market. 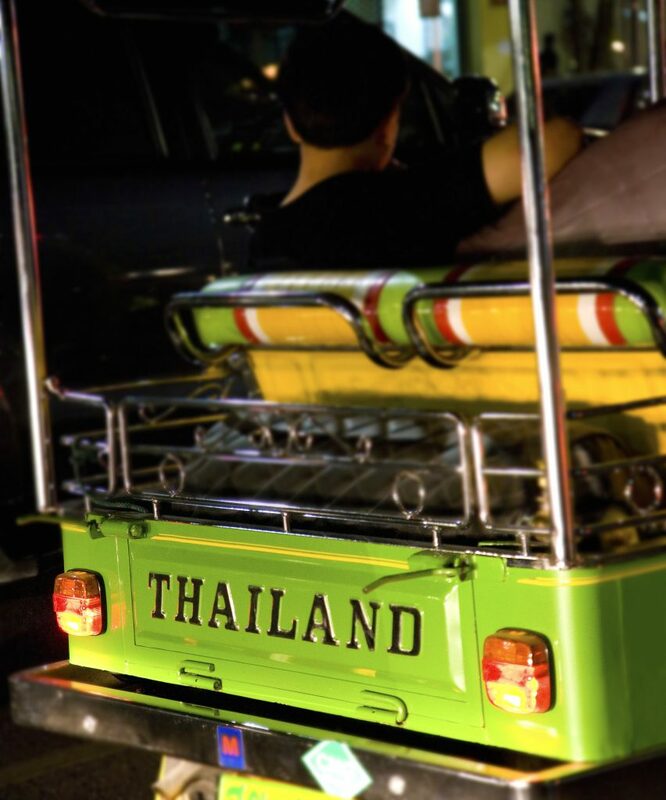 Thailand has become a popular country for retirees from Western countries. The best places for retirement in Thailand are considered to be Chiang Mai, Pattaya and Bangkok. 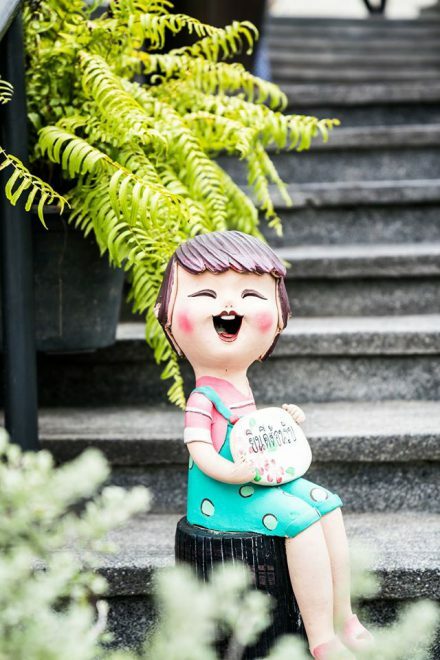 Today, there are also retirement villages and homes for those who need assisted living. Even though the options for retirement homes are still limited in Thailand, there are three facilities that admit expats in need of daily assistance. For instance, there are the Thailand Retirement and Long Term Care Communities in Pattaya. 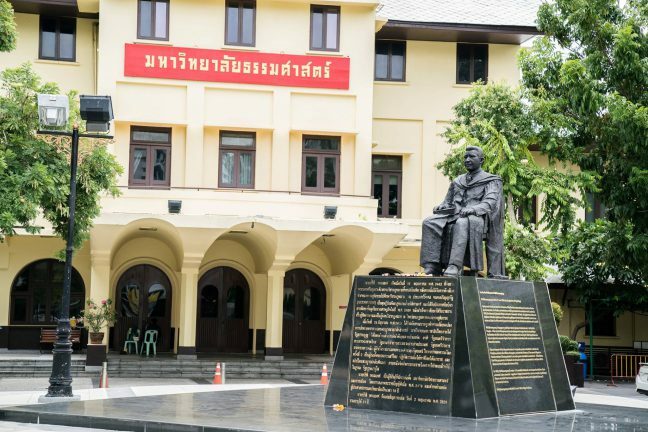 This institution has been known for assisting disabled foreigners. Pattaya is a nice location for all retirees who like to enjoy the beach, sun, entertainment and fast life in a transcient place. Nevertheless, there are also two main hospitals that offer great healthcare. These are Pattaya International, a private hospital, and there is Pattaya-Bangkok International which is located a short distance outside of Pattaya. What is more, in Bangkok you can find the Golden Years Hospital which also take care of elderly expats. They also offer special tour programmes for elders in which the elderly are accompanied by a personal caregiver. There are many advantages of being nursed in the Golden Years Hospital because the doctors and nurses provide warm and close care. Another well-known facility is the Mc Kean Rehabilitation Centre in Chaing Mai which has a complete nursing home for the elderly. It is a Christian Centre which wants to provide good life quality to seniors so that they can live in a caring and supportive community with dignity. If you do not necessarily need a retirement home, there is also the possibility to buy or rent a small condo. Particularly, these kind of small condo units can be found in Pattaya where there is a large expat community. If you want to buy such a condo of around 50 square meters, the price is commonly around 900,000 Baht. These condos for expats are usually in close proximity to immigration facilities. For instance, in Pattaya, Thai Immigration Building is in Jomtien, where you can find numerous condo units for senior expatriates. Hence, Jomtien has become a hot retirement spot and thus there are also many facilities for expats like clubs. Actually, many of the Thai expat retirees in these areas live off their government pension. This is important because a government pension is a requirement for a retirement visa. Do you want to find out how much you need to live well in Thailand? Try the Thai Retirement Calculator found on my website. Finally, we may say that Thailand is a very popular place for Western retirees because of the excellent weather and the generally stable economy. Thus, many Western seniors consider getting a Thai retirement visa for expats. In addition, the living costs in Thailand are much lower than in Western countries like the USA, the UK and Europe in general. 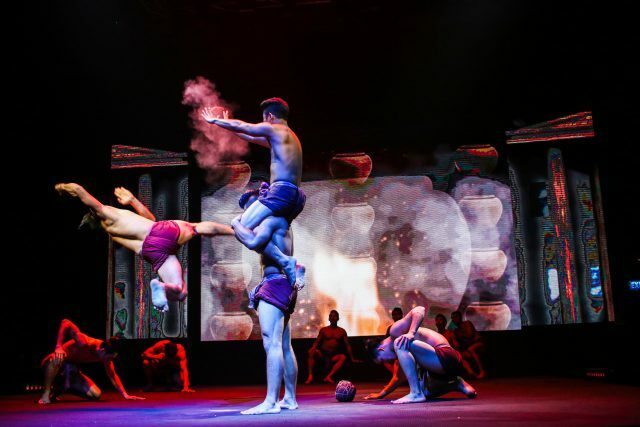 Today I’d like to present you the outstanding stage culture performance ‘Muay Thai Live: The Legend Lives’. This show takes place in Bangkok at The Stage Asiatique The Riverfront, from Tuesday to Sunday, 8PM onwards. The show was created by acclaimed director Ekachai Uekrongtham. It is a special and spectacular event not only for Muay Thai lovers. The performance is about the history of Thai Boxing, dealing with its origins and its development until today. 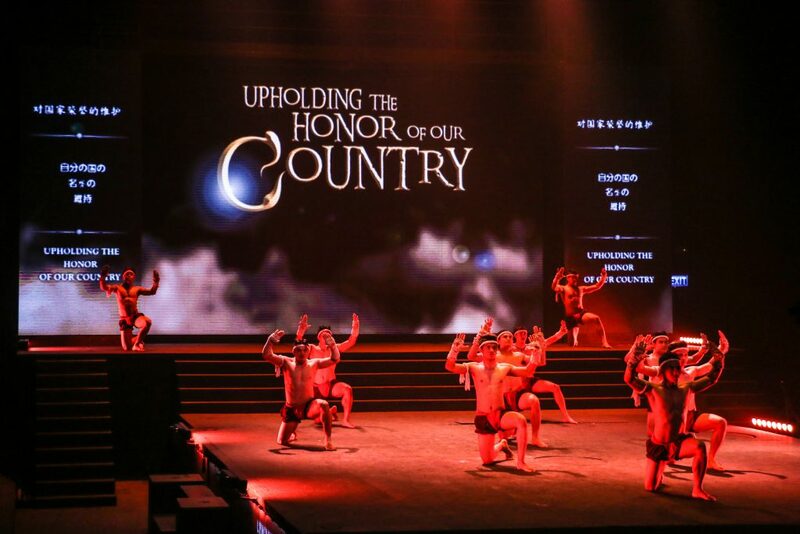 Hence, the show has five thrilling acts which trace the story of Muay Thai. Thus, the first part starts at the very beginning of the history of Thai boxing, namely in the Ayutthaya Kingdom in 1699 where the ‘Tiger King’ appears. He is not only charismatic but shows extraordinary kickboxing skills. The second act, set in 1767, deals with the ‘Prisoner with Eight Limbs’. After the downfall of the Ayutthaya Kingdom, many Siamese soldiers are confined by their ememies. Among them is a warrior with amazing skills in Muay Boran which is an ancient form of Thai Boxing. The third act takes place in 1773, a time when the Kingdom is again in fierce war with enemies. Swordsmen are recruted from all over the country to fight against the opponents. General Pichai is a warrior of the double swords. Hence, he is known as the ‘Warrior with broken swords’ because in battle one of his swords is broken. Eventually, he is left to fight with only his body and soul. 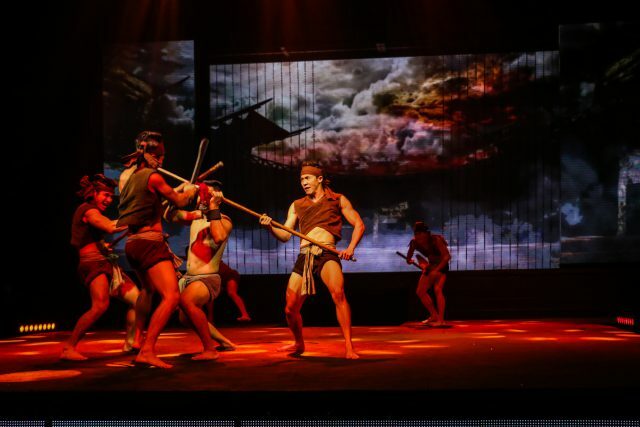 Act four might be the most dramatic part of the show because this part is about the most dangerous and lethal methods of ancient Muay Thai. These techniques have not been performed over a 100 years. It is also about the ‘Modern Action Hero’ whose fight is reinforced by the combination of stunt techniques and other martial arts. 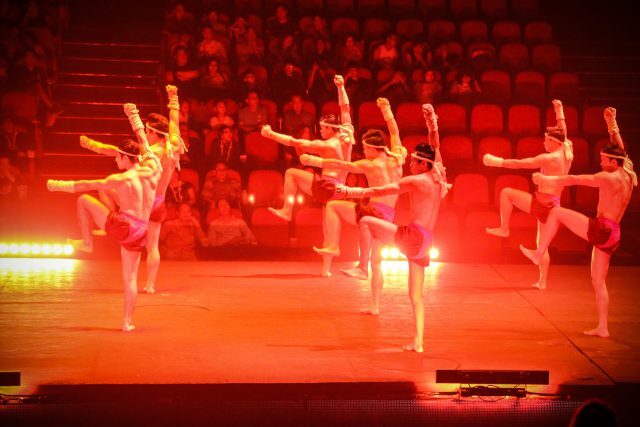 Finally, in the last act, the cast performs the ‘Wai Kru’, thus paying respect to the great Thai boxing masters of the past. The Wai Kru is known as Thailand’s unique and most beautiful boxing dance moves. 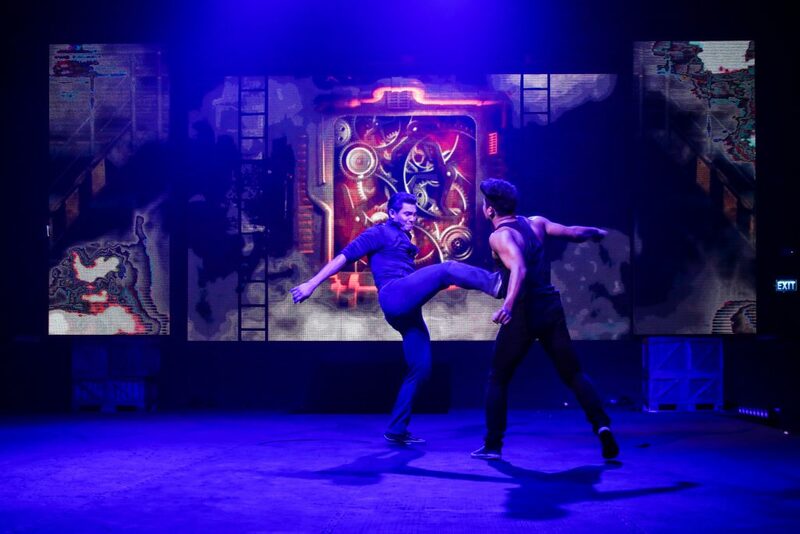 The show is followed by Live Muay Thai boxing as an added feature. In ‘Warriors Rising’ there are two Thai boxing matches that are mentored by Muay Thai Grand Master Kru Sane Tubtimtong. His Majesty King Bhumibol Adulyadej of Thailand (Rama IX) has died on Thusrday, the 13th October 2016 at the age of 88. He was the longest reigning King in Thai history and the world, having reigned since 9th June 1946. King Bhumibol the Great is the father and the soul of the Thai nation and Thai people. Hence, the King stood above the law, being revered and immensely respected by Thai people. Thus, in the last days, Thais have payed touching respect to their King in many ways. 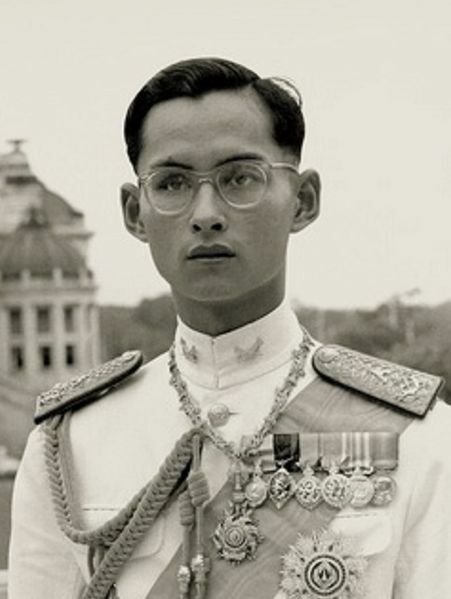 H.M. King Bhumibol Adulyadej may truly be called the ‘King of Hearts’ and ‘Father of the Nation’ in Thailand. 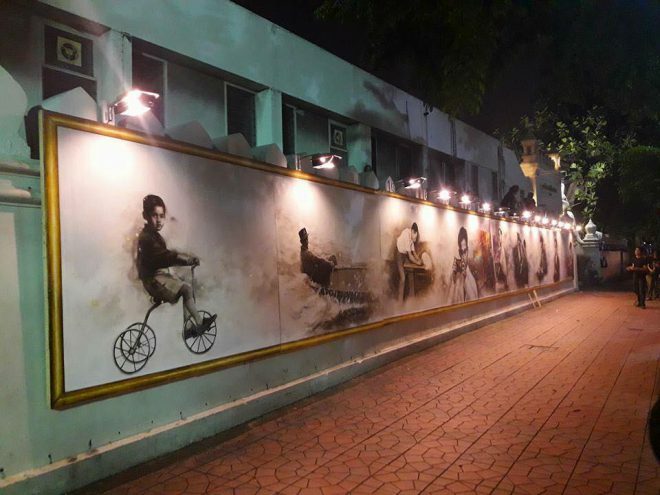 Students from Silpakorn University have painted large memorable pictures from the King’s life which are very impressive. 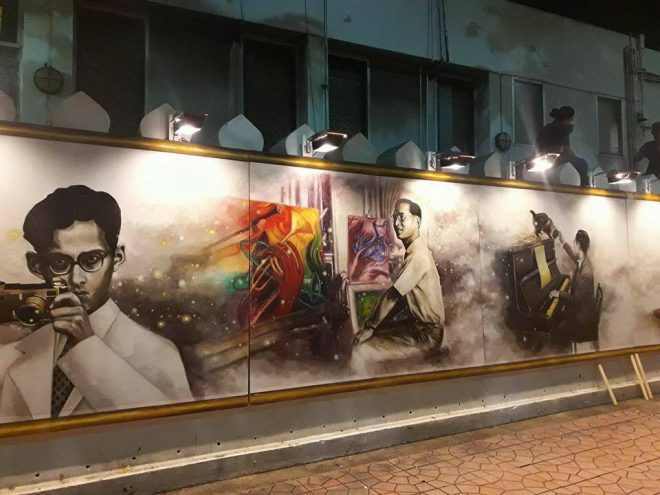 Similarly, students from Khon Kaen University have worked day and night to create a work of art for their King, capturing the spirit and soul of the Father of the Nation. There are also Thai singers who have paid tribute to the King by singing the King’s Anthem. This one is particularly touching, she is singing and crying at the same time. Finally, there is to mention a man who collected more than tousand pictures of the King for future generations to remember. Summing up, we may sadly say the the era of H.M. King Bhumibol Adulyadej has come to an end and that Thailand as we knew it is now at an end too. However, we must look positively into the future, accepting that time changes everything. Nevertheless, I am convinced that the King will remain revered and unforgotten. 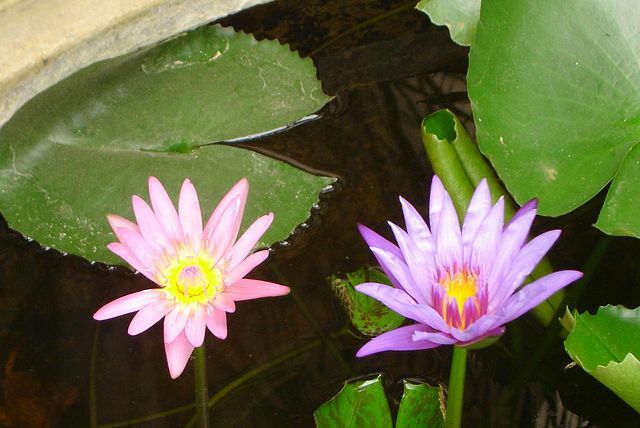 In Thai culture, each day of the week has a colour which is based on the colour of the God who is protecting the day. This attribution goes back to an astrological rule influenced by Hindu mythology. Thus, Thai people believe that each day of the week coincides with a planet and a God. Thus, each respective planet and God has a dominant colour. For instance, Surya is the God of Sunday. Since he is also the God of the Sun, his colour is red. 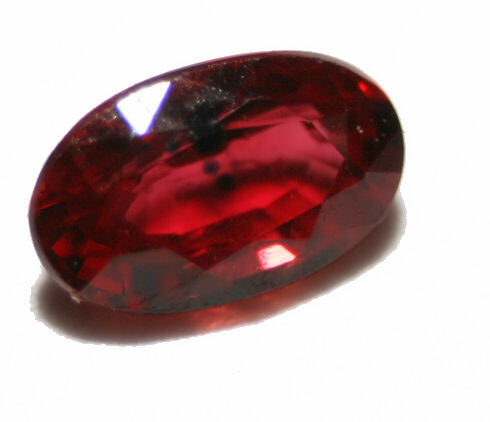 Hence, suitable gemstones are garnet and red ruby. Another example is Monday which is the day of the moon. Accordingly, the God of this day is Chandra, the moon God. 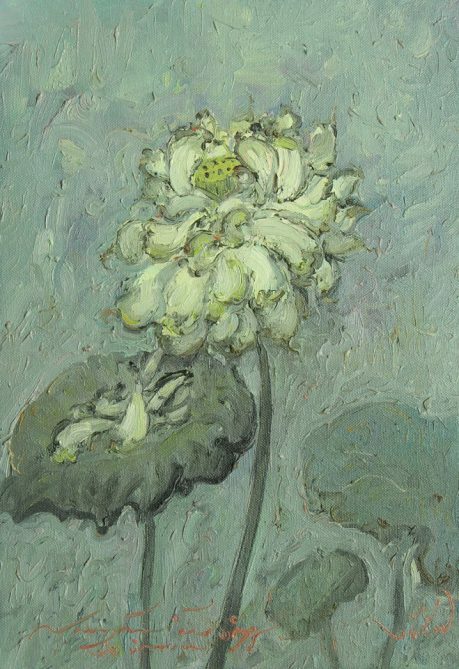 His colour is yellow or white. The colours of the day are hence the traditional Thai birthday colours. Since King Bhumibol was born on Monday, on the auspicious occasion of his birthday Thailand is decorated with yellow. Now let us take a look at what colour is suited for your birthday. As mentioned, Sunday is the day of Surya whose colour is red. The gemstone for this day is ruby or garnet. 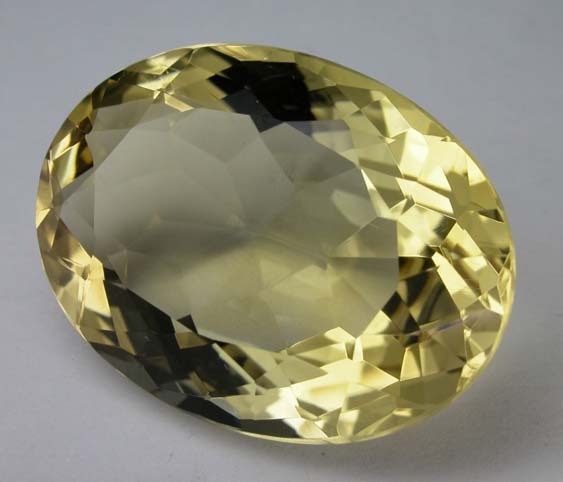 Monday, the day of the moon, has the yellow gem citrine, yellow sapphire but also moonstone occasionally. Tuesday which is the day of the God Mangala (Mars) has pink as its ruling colour. 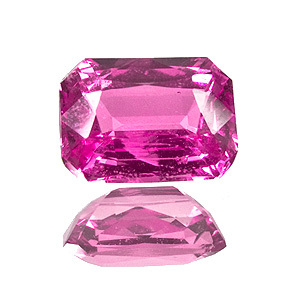 Thus, we need pink sapphire or spinel. 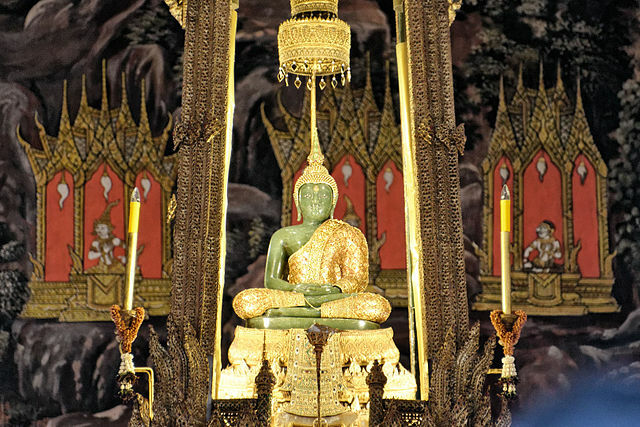 Since Wednesday is the day of Budha (Mercury), this day’s colour is green. 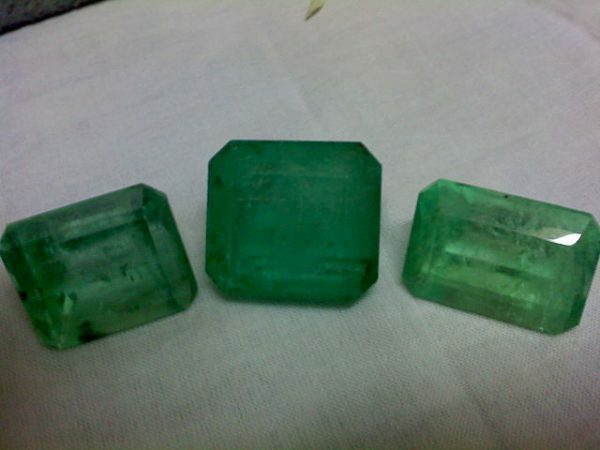 Suitable gems are hence green emerald and tsavorite garnet. Thursday has orange since that is the colour of Brihaspati (Jupiter). What could be more suitable for this day than orange coral or orange sapphire! Finally, Friday is the day of Shukra (Venus) and his colour is blue. 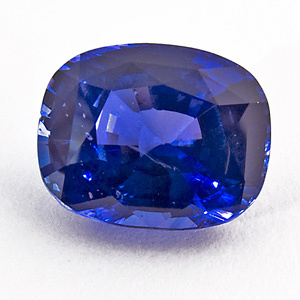 Thus, we love blue sapphire for this day. Saturday has the colour purple since it is the day of Shani (Saturn). 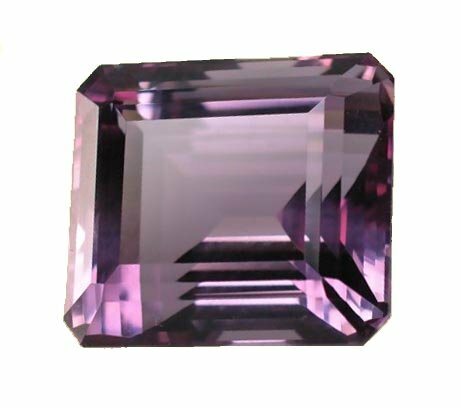 The gemstones for Saturday are amethyst and purple sapphire. Here is a short clip on what color is suited for your birthday. Summing up, I think it is a very pleasant concept having birthday coulours and corresponding gemstones for each day of the week. Since I was born on a Monday, according to Thai culture, my gem is the yellow citrine 🙂 Which one is yours? I’ve read the Thai folk tale ‘Seven-Coloured Emerald’ in ‘Folk Tales of Thailand’ (1976) by P.C. Roy Chaudhury. Thus, today I’d like to retell this story with a moral for you. Once there was a King called Hongse Thong who was married to two Queens. He had two children with the elder Queen, Prince Hongse Yout the Crown Prince and Princess Sroi Pradub. With the younger Queen, the King had only one son called Prince Hongse Noi. The King had become very old and thus he thought about how to distribute his royal treasure. Of course only a male could become King and hence he left nothing to his daughter. The King cherished most his beautiful great seven-coloured emerald and wanted to give it to his oldest son, the Crown Prince. For this reason, the younger son complained to his father that he did not get anything in place of the emerald. The court was split by the disagreement between the younger son and the decision of his father. The King’s younger brother also agreed with the younger prince that he should be entitled to receive something of the heir. 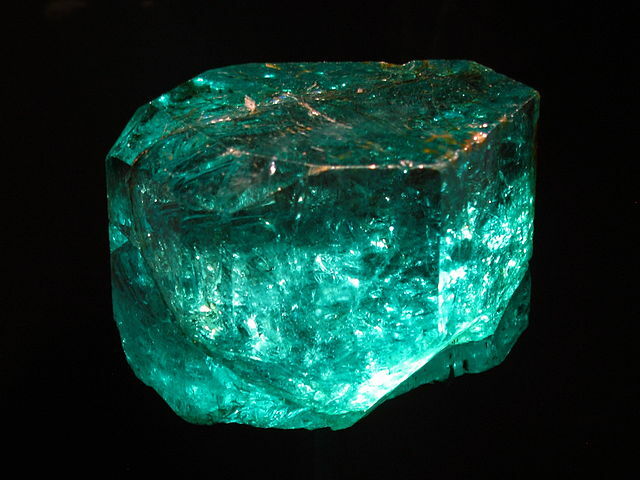 One day, a bold thief entered the palace and stole the precious emerald. Thus, neither of the Princes received it. The King was vexed and the Princes upset and enraged. However, finally nothing could be done about this matter, the emerald was gone forever and this is the end of this Thai folk tale. 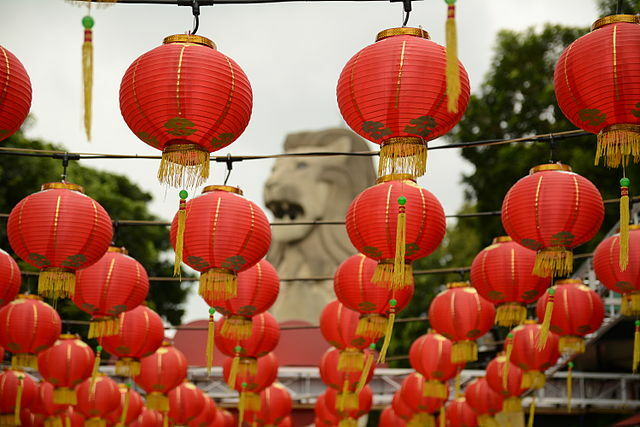 Chinese New Year is a popular festivity in Thailand since there are many people with Chinese ancestors in Thailand. Actually, it is supposed that over half of ethnic Thai today are descendants of people who migrated from southern China about 1,000 years ago. In Thai, Chinese New Year is called ‘Wan dtrut jiin’ and it is also known as the Spring Festival. This year, Chinese New Year is on 8th February, this is when the year of the monkey begins. The monkey is connected with the elements water and metal. 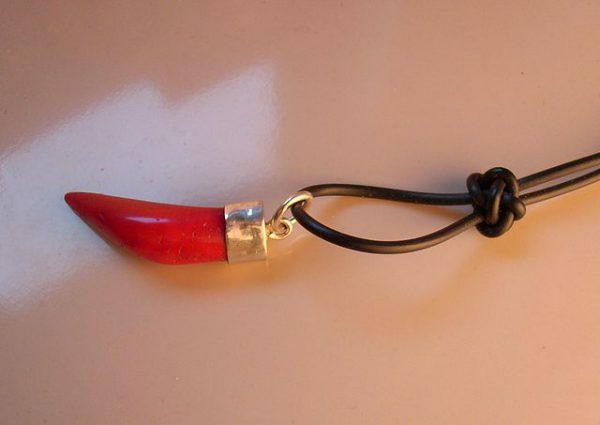 Whereas water is connected with wisdom and danger, metal is related to gold and fortune. 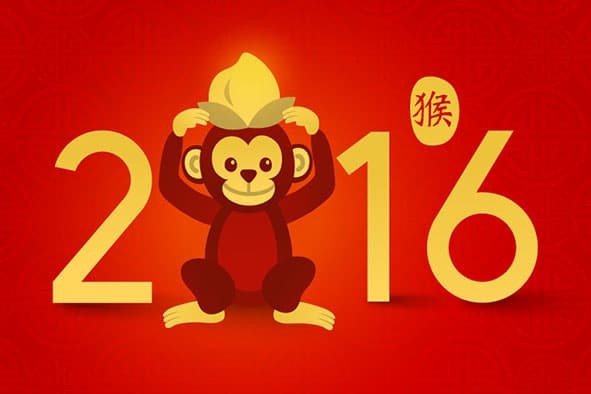 Thus the year of the monkey is supposed to be a year of financial events, flux and change. This also means that things can be accomplished but mainly by individual and personal efforts. Hence, this year might also be a good year to break free and to follow one’s passion and heart’s desire. 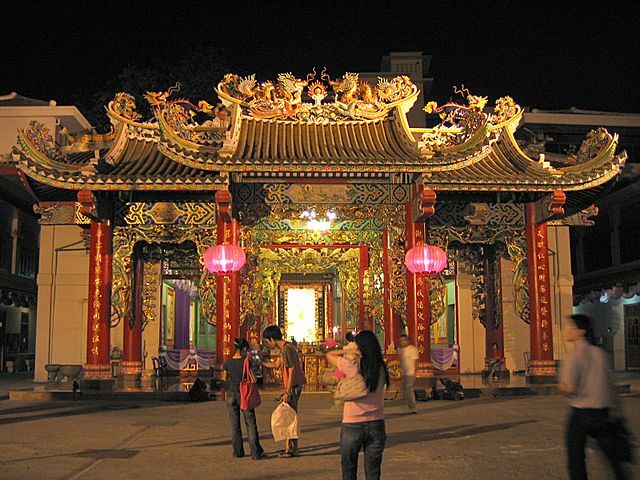 In Thailand, the centre of the Chinese New Year festivities are Chinatown on Yaowarat Road in Bangkok and Phuket Town. 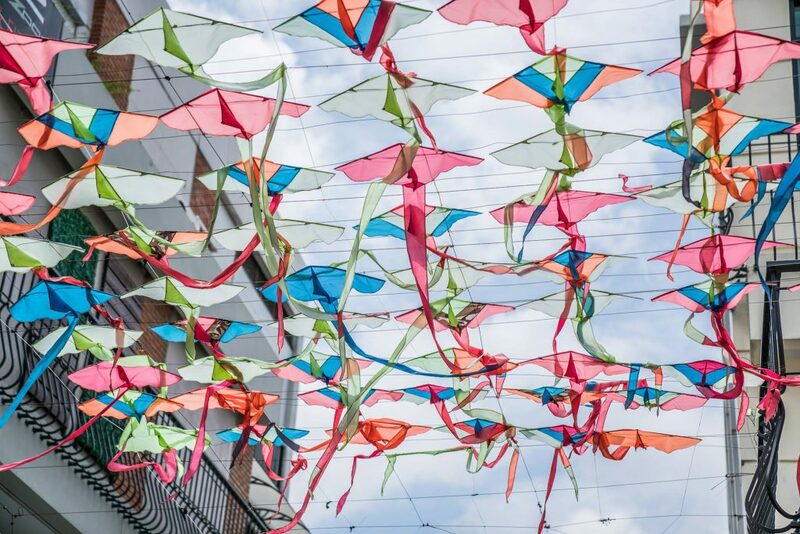 For instance, the Old Phuket Festival takes place in the old Sino-Portuguese quarter of Phuket Town every year. Traditionally, families clean their houses in order to get rid of any misfortune and bad luck so that there can be a fresh start into the new year. Hence, they make way for incoming luck and this is also called ‘Spring cleaning’. On the eve of Chinese New Year, families have supper together and feast on Chinese dishes and delicacies like duck, chicken, pork and sweets. The night is ended with fireworks and on the following morning, children greet their parents by wishing them a happy new year. 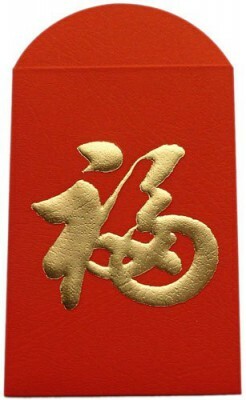 The children will then receive the so-called lucky money in red envelopes which are called ‘Ang Pao’. Usually, the married people will give money to the unmarried who are mostly younger people and children. During the Chinese New Year festivities, the Dragon and the Lion dance are the most popular highlights. In particular, the dragon is supposed to bring good luck since he is believed to posses qualities like power, fertility, dignity and wisdom. Thus, the longer the dancing dragon is, the more luck and power he brings to people.